Game Night (film, 2018). A 2018 American black comedy mystery film with "R" rating by Warner Bros. Pictures. Directed by John Francis Daley, Jonathan Goldstein. Official Trailer. Game Night is a 2018 American black comedy mystery film directed by John Francis Daley and Jonathan Goldstein. 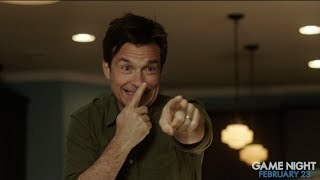 GAME NIGHT - Official Trailer. Married competitive gamer couple Max and Annie are trying to have a child, but their attempts are unsuccessful due to Max's stress surrounding his feelings of inadequacy when compared to his successful, attractive brother Brooks. During Max and Annie's routine weekend game night with their friends Ryan, and married couple Kevin and Michelle, Brooks shows up Max by arriving in a Corvette Stingray (Max's dream car) and sharing an embarrassing childhood story about Max. Brooks offers to host the next game night at a house he's renting while he's in town. Meanwhile, Max and Annie are trying to keep their game nights secret from their neighbor Gary, an awkward police officer left distraught after his divorce from their friend Debbie. When the guests, including Ryan's new date, Sarah, arrive at Brooks' house the following week, Brooks says he's initiated an interactive role-playing mystery game, promising the winner his Stingray. A man dressed as an FBI agent bursts into the home and informs them of the narrative of the mystery, only for two masked men to break in and assault him and Brooks. The guests believe the assault is part of the game. After Brooks is dragged out of the house, the couples begin to solve the mystery using the clues left behind by the actor. Using his GPS location, Max and Annie track Brooks down to a seedy bar and, using a pistol left behind by Brooks during the struggle (which they believe to be fake), manage to take the keys to the storage closet, where Brooks is being held. After Annie mistakenly fires the gun and shoots Max in the arm, confirming the weapon is real and that they are in actual danger, the three escape. Brooks admits that he actually makes his living buying and selling illegal items on the black market, in particular a Fabergé egg sought by a man known only as the Bulgarian and owned by a man using the alias Marlon Freeman. With his captors in pursuit, Brooks exits the moving car to guarantee Max and Annie's escape. Principal photography began in early April 2017 in Atlanta, Georgia, US. 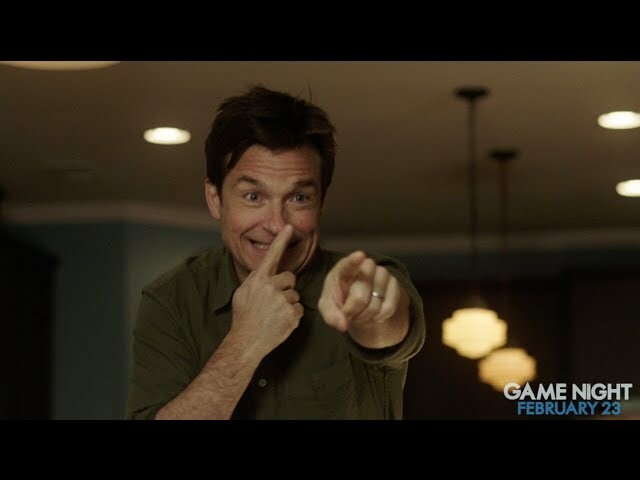 The film Game Night was scheduled to be released by Warner Bros. Pictures on February 23, 2018 (United States) and on March 1, 2018 (Germany). The duration of the film is 100 minutes. With a budget of $37 million, the film grossed over $117.5 million. 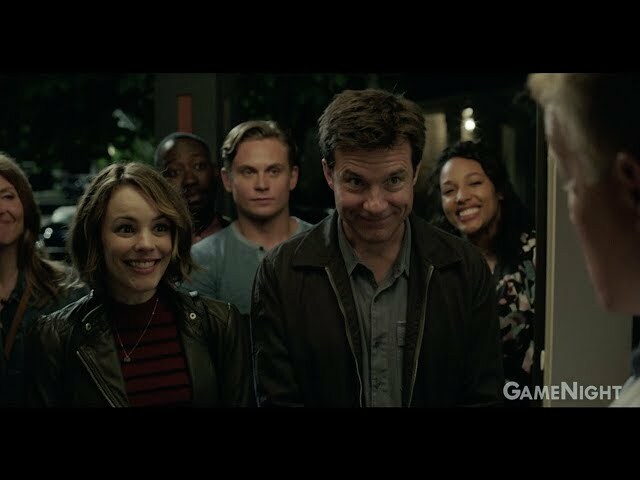 Game Night got high rating from critics. The audience also likes the film. Audiences polled by CinemaScore gave the film an average grade of "B+" on a scale ranging from A+ to F.